Kollam or Quilon, formerly known as Desinganadu, is an ancient seaport city on the Laccadive Sea coast, nearby the banks of the Ashtamudi Lake. 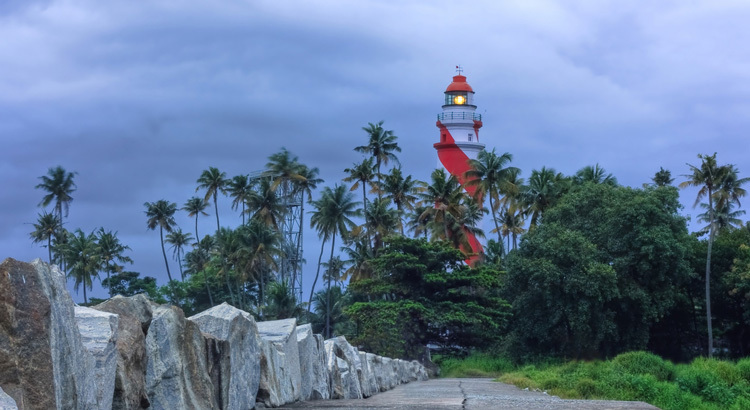 One of the most important trade centres in India in the earliest of times, today Kollam is known for it’s tourist attractions which include it’s astonishing Ashtamudi backwaters, soothing beaches and enticing picnic spots. With a strong commercial reputation from the days of the Phoenicians and Romans for it’s trade relations with Chinese, Arabs, Romans and other Orientals, Kollam found it’s way into the travelogues of world tourists such as Marco Paulo and Sulaiman al-Tajir .It’s the internal trade with Tamil Nadu through the Punalur Pass, overland trade by bullock cart and waterways trade to Alleppey and Cochin that played a huge role for Kollam in it playing a host to one of the earliest industrial townships.Spices, pearls, diamonds, and silk were exported to Egypt and Rome from these ports. Pearls and diamonds came to the Chera Kingdom from Ceylon and the southeastern coast of India.The pepper, marine items and packaged cashew nuts ruled the export items and reached shores all around the world. Kollam was considered one of the four early entrepots in the global sea trade around the 13th century, along with Alexandria and Cairo in Egypt, the Chinese city of Quanzhou, and Malacca in the Malaysian archipelago. 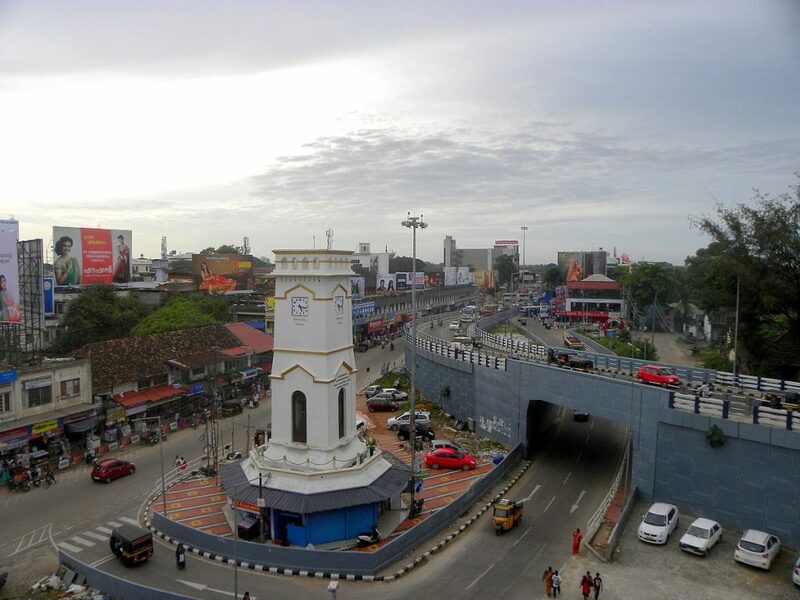 Kollam hit a low when the Chera Dynasty formed the Venad kingdom and made Kollam it’s independent capital since the Cheras were soon overrun by the Pallavas in the 6th century, ending the spice trade from the Malabar coast. Thus Kollam lay without much trade for centuries.This allowed the Nestorinas to stay in the Chera kingdom for several decades and introduce the Christian faith among the Nampoothiri Vaishnavites and Nair sub-castes in the St. Thomas tradition without replacing the Sanskrit and Vedic prayers.Later, the Tharisapalli plates presented to Maruvan Sapor Iso by Ayyanadikal Thiruvadikal granted the Christians the privilege of overseeing foreign trade in the city as well as control over its weights and measures in a move designed to increase Quilon’s trade and wealth. Soon began the Malayalam era or known as Kolla Varham called so to designate the importance of the city in the era.Christian churches with Syrian liturgy were sprouting along the Malabar coast. This was distinct from the ancient Vedic Shivism propounded by Adi Shankara in the early 9th century among the Nampoothiri Vaishnavites and Nair Sub Castes, as Malayalam was not accepted as a liturgical language until the early 18th century.The Chinese trade decreased about 600 and was again revived in the 13th century. One of the very first trading centre in Kollam- The Tangasseri Trade centre was established in 1502 by the Portuguese.This later became one of the most important centres of their trade in pepper. It’s rising importance invited wars over the city and much loss was incurred. St.Thomas Fort built by the Portuguese. 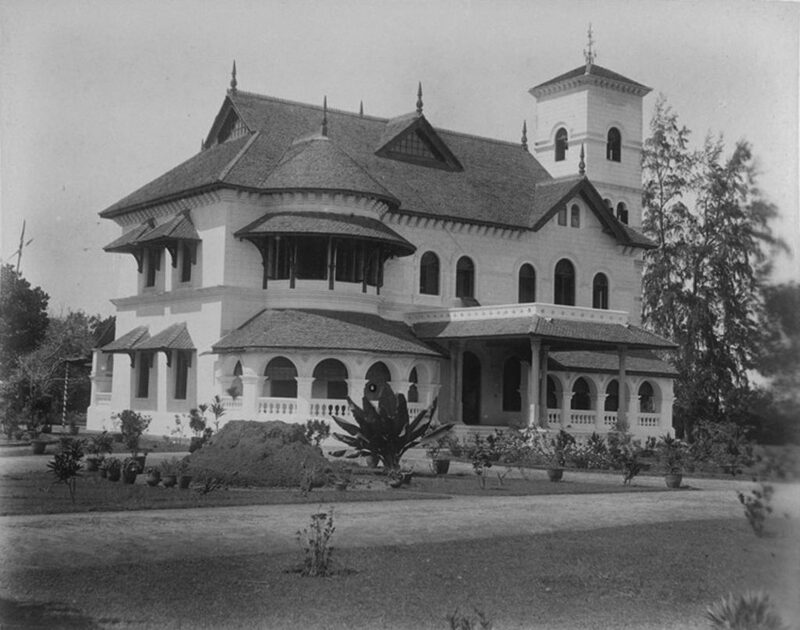 This was later renovated by the Dutch themselves and can be seen at Thevalakara even today. The city was taken over by the Dutch East India Company in 1661, followed by Travancore in the 18th century and British in 1795. Still predominantly Anglo-Indian, The Infant Jesus Church in Thangasseri, an old Portuguese-built church, remains as a memento of the Portuguese rule of the area. When India received Independence from the British in 1947, Kollam was inculcated as a part of the Travancore state, later Kerala. From February 2014, excavations are going on at Kollam Port premises as antique artifacts, including Chinese porcelain and coins, are uncovered. A Chinese team with the Palace Museum, a team from India with Kerala Council for Historical Research (KCHR) are jointly working at the Kollam Port site for the treasure hunt. The treasures that are being uncovered has the potential to tell the story of a bygone India-China link, and even strong trade links of Kollam city with other ancient empires. A symbol of strength and strong heritage, Kollam today keeps it’s head high as an important tourist destination and trade centre. She stands with arms held open, welcoming all those who visit her to enjoy old forts and backwaters, that tells her stories of valor and fame.